There’s no point in beating around the bush. If you’re looking at WordPress casino themes, then you’re most likely looking to make some money with affiliate marketing. Every internet marketer knows online gambling is one of the strongest affiliate markets open to you. You just have to make it work. But how exactly do you do that with all the competition already gaining so much ground? 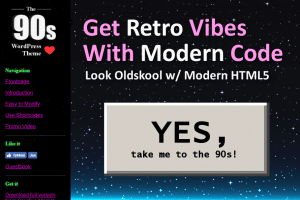 With the VegasHero WordPress Casino Theme…that’s how. The VegasHero casino theme is the tool you need to establish yourself as a successful affiliate. If you’re just getting into affiliate marketing, you’ll realize early on that your website is the key component for turning leads into conversions. It’s your site that will keep users coming back and occupied, which increases user engagement, and ultimately pushes it up in the rankings – generating more organic traffic. You need a good balance of entertainment and intrigue, and that’s exactly what you find with the VegasHero casino WP theme. What makes the VegasHero Casino Theme so Special? There are many different variables that go into building a successful casino affiliate site. For example, you are working with a specific target audience, which means you have to cater to their needs. But at the same time you want to make the job as easy as possible for you. If we’re honest, becoming an affiliate is a focused towards a passive income. You want to do something now that can generate money in the long-term. Unfortunately, if you don’t get that platform just right, it’s never going to take off. And that’s why you need a casino theme like VegasHero for WordPress because it does exactly what you want it to, and more. The VegasHero casino theme is truly packed with some amazing features, but for the purpose of this article, we’re only going to take a look at those that really sets it apart. This means you can have the VegasHero theme up and running in a matter of minutes, if not seconds. Users who play online slot games have a specific way they like the layout, especially when it gets to the demo slot game section. There shouldn’t be too many distractions, and it should be easy for them to find their favorite slots. We have a powerful free-to-play demo slots games import plugin – a free version copy is included in the theme package. No matter what device you use to access the VegasHero theme, it’s going to look amazing and professional. This is the feature that comes with the VegasHero casino demo games plugin, and it will automatically search for slot games, and keep them updated on your site. In other words, you don’t have to go to the trouble of finding the right demo games to showcase, because it’s done for you. The VegasHero theme was built to be as visible as possible all search engines. 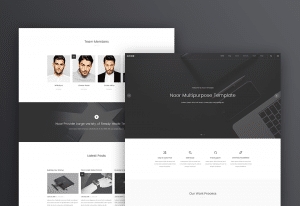 Everything about it is tweaked to perform quickly, be responsive and keep user attention. Casino affiliate themes don’t get better than this. The support you’ll get from the developers are amazing and second to none. If for any reason you have any problems, they’ll stand by to help sort everything out. Seeing as the VegasHero casino theme is WordPress friendly and compatible, you can rest assured it will be easy to control everything on your side. There are many more features that can be listed, but you probably get the idea. 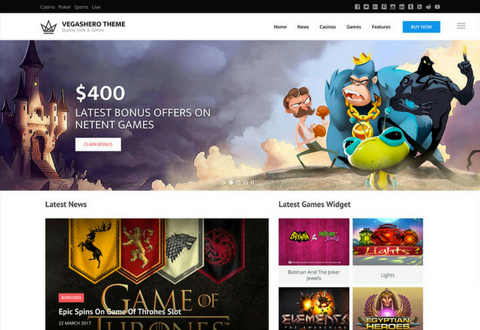 Your gambling affiliate site really is the one place you want to focus on if you’re going to create conversions, so get the VegasHero Gambling WordPress theme and claim your edge.